Drake University in Des Moines hosts a program called The Comparison Project, which I think is one of the best things about this very fine university. The purpose is to introduce people to different faith and religious teachings so we can all learn from one another. 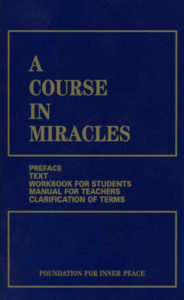 Each year they offer a lecture series and special events around a particular theme, and this year’s theme is Miracles. As part of the series, we’re presenting a free half-day conference about A Course in Miracles at Drake December 2, and I really encourage you to attend. It’s free and open to the public, and it’ll give you several key teachings from the Course that you can put to use in your own life. Here’s the info from The Comparison Project website, which gives all the details. It’ll be a great way to bring some Miracles into your holiday season, with opportunities to learn about creating peace and harmony in every part of your life. Hope to see you there!